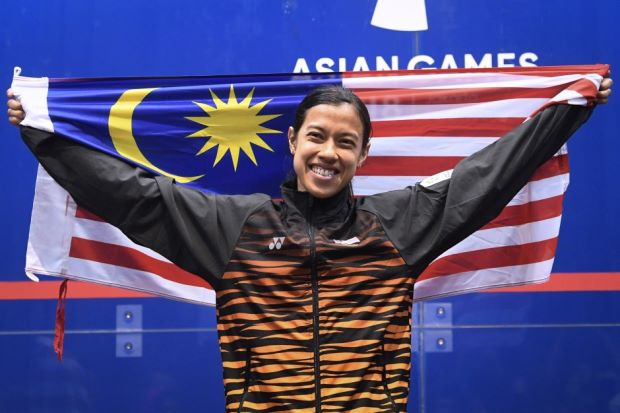 Nicol David soon after closing her remarkable illustrious professional squash career, as the sport’s ambassador will team up with fellow players Borja Golan and Camille Serme for the 2019 WSF Ambassador Programme visit to Kenya. This hosts of this initiative of World Squash Federation will be the Squash community of Kenya in the capital city, Nairobi. The 2019 campaign will be taking place from 27th-30th June. The WSF international promotional initiative started in 2011, takes top players of squash, along with an international referee and coach, into nations where squash is still at infancy level. Thereby, through such visits the purpose is to create awareness and solidify the sport’s profile – through exhibition matches, seminars, and media interaction. Grouped with the Malaysia’s former World No.1 – Nicol, France’s World No.4 – Serme and Spain’s former World No.5 – Golan, will be the national coach of Belgian – Ronny Vlassaks and international referee from Slovenia – Marko Podgorsek. 2011 – First visit was to Latvia the Baltic country. 2012 – Malawi and Namibia. 2013 – Panama and Venezuela. 2014 – Papua New Guinea. 2015 – Serbia, Romania and Croatia. 2016 – Dalian and Macau in China. Nicol Ann David aged 35 was born on 26th August 1983. A professional squash player, she is presently ranked World Number 6. And recently had announced that she would retire end of 2018-19 season. First squash player to have won the World Junior title twice; in 1999 and 2001. Joined WISPA and turned professional in 2000 when she won her first WISPA title. Honoured with the Malaysian Order of Merit (Darjah Bakti). The award was established on 26th June 1975 and Nicol was the first recipient. In 2004, was invited to carry the Athens Olympic torch for Malaysia. Was appointed as UNDP National Goodwill Ambassador for Malaysia. She has won the World Open title a record 8 times in 2005, 2006, 2008, 2009, 2010, 2011, 2012, 2014. The British Open title in 2005, 2006, 2008, 2012, 2014. Nicol in July 2016, reached her 151st successive month in the top 10, breaking the record in both men’s and women’s categories held previously by Peter Nicol’s previous for 150 months.